An introduction to some of the issues surrounding open research data in a range of academic disciplines. 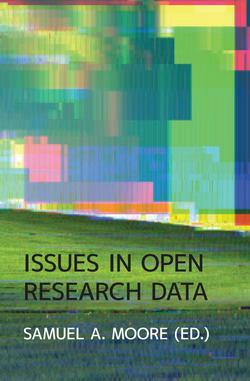 Samuel A. Moore wrote:This book is intended to be an introduction to some of the issues surrounding open research data in a range of academic disciplines. It primarily contains newly written opinion pieces, but also a handful of articles previously published elsewhere (with the authors’ permission in each instance). Importantly, the book is meant to start a conversation around open data, rather than provide a definitive account of how and why data should be shared. The book is open access, published under the Creative Com- mons Attribution License (CC BY), to facilitate further debate and allow the contents to be easily and widely spread. Readers are encouraged to reuse, build upon and remix each chapter; repository managers, data curators and other communities are encour- aged to detach and distribute the chapters most relevant to them to their peers and colleagues. More information is available at the book's webpage. Samuel Moore is a PhD candidate in the Department of Digital Humanities at King’s College London who is researching the future of Open Access publishing in the humanities. He is also the Managing Editor at the open-access publisher Ubiquity Press.